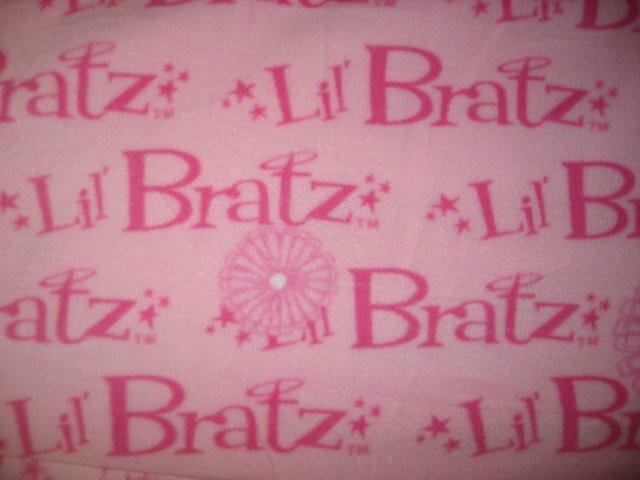 OUT OF PRINT Pink Bratz words fleece bed blanket. The words on the back side are mirror image. Smoke free. Super soft. Pretty pink color! with Single thickness. Measures approximately 60 inches by 68 inches.